Facial plastic surgery appeals to all sorts of people in Charlotte NC. The most common operations are face lifts, rhinoplasty and eyelid surgery. Other procedures aimed at making you look younger include different sorts of lifts, while ear surgery and facial implants are geared towards improving an already youthful face. Cosmetic rhinoplasty can only be done on someone whose nose is already fully mature, whereas ear surgery can be done on small children. Most of them require that you not smoke for two weeks before the surgery or until your face is fully healed. The first thing youshould do if you’re thinking about facial plastic surgery is to get the opinion of an expert and find out if you actually need surgery. Injections of fillers like Restylane, Perlane and RADIESSE can do a lot to enhance and/or rejuvenate a face. BOTOX injections relax the facial muscles that cause dynamic wrinkles. These procedures can be used by themselves, or can be added to a face lift or brow lift. The best facial plastic surgeon in the Charlotte NC area is Dr. Sean Freeman. He’s been practicing nothing but facial plastic surgery since 1988, and has been certified by two different surgery boards. He has been an innovator in new techniques and often teaches other facial plastic surgeons. If you’re interested in facial plastic surgery, call his office today or ask for an online consultation to get a discount on the consultation fee. The three most popular facial plastic surgery procedures are rhinoplasty, eyelid surgery and face lifts. Then there’s lip enhancement. Neck lifts, otoplasty, facial implants and malar pad lifts are other procedures. Otoplasty corrects excess ear protrusion, and a malar pad lift raises the pads of fat in the cheeks. An experienced facial plastic surgeon can tell you which one you need. Some of these procedures must be done in an operating room and need weeks of recovery time. Others can be done in the surgeon’s office, and you’ll only need a few days off. A general rule is that you should stop smoking for a few weeks first, and don’t take aspirin or ibuprofen for the same amount of time. Nicotine constricts blood vessels and slows the healing process, while aspirin and ibuprofen thin the blood and cause more extensive bruising. Your surgeon will be able to tell you more. If you’re thinking about facial plastic surgery, the first step is to talk with an expert. If you decide on surgery, you’ll want it done by someone with a lot of experience. Dr. Sean Freeman is the most experienced facial plastic surgeon in Charlotte. He has been certified by two different surgery boards, the American Board of Otolaryngology (head and neck surgery) and the American Board of Facial Plastic and Reconstructive Surgery. If you’re interested in using modern medicine to make yourself look better, make an appointment today or ask for an online consultation. There are a lot of safe and effective facial plastic surgery procedures available today. Three common types of facial plastic surgery are the nose job, face lifts and eyelid surgery. There is also scar revision. Other types include lip enhancement, facial implants, neck lifts, malar pad lifts and otoplasty. There are two kinds of lip enhancement — lip augmentation, which uses an injectable filler, and the lip lift, which slightly shortens the upper lip. What to do in your case is a decision only a facial plastic surgeon with many years of experience can make. Facial implants change the shape of the chin and cheeks. A neck lift takes loose skin and fat out from under the jaw. A malar pad lift is a prodecure that lifts the pads of fat under the skin of the cheeks to make you look younger. Otoplasty, or surgery on the ears, is one of the few procedures that can be performed on children. If you are considering facial plastic surgery, the first step is to get the opinion of an expert. Sean Freeman, MD, is the most experienced facial plastic surgeon in Charlotte. He has been certified by two different surgery boards, the American Board of Otolaryngology and the American Board of Facial Plastic and Reconstructive Surgery. His web site is called “OnlyFaces.com” has focused his efforts on facial plastic surgery since 1988. If you’re interested in facial plastic surgery, make an appointment or request an online consultation today. The three most common types of facial plastic surgery are (in this order) rhinoplasty, eyelid surgery and face lifts. Hundreds of thousands of people in the United States have these procedures done every year. Only a professional facial plastic surgeon can tell you which one is right for you. In some cases, for example, a nose can be made to look the right size not by making it less prominent, but by making the chin more prominent. 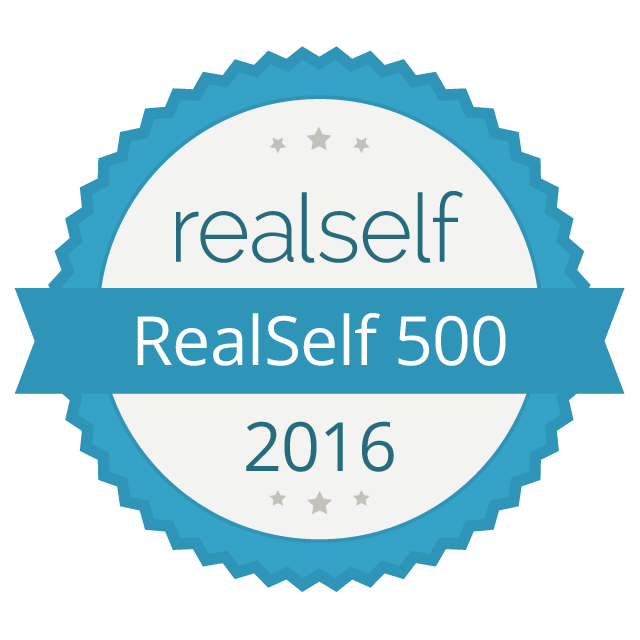 If you’re looking for a good facial plastic surgeon in the Charlotte area, go to realself.com for recommendations. There are other types of facial plastic surgery, like lip augmentation, which uses an injectable filler, and the lip lift, which slightly shortens the upper lip and makes it look fuller. Other procedures are neck lifts, otoplasty, facial implants and malar pad lifts. A neck lift removes loose skin and fat from under the jaw. Otoplasty corrects excess protrusion of the ears, and can be performed on children. Facial implants can add definition and balance to the cheeks and chin. A malar pad lift elevates the pads of fat under the skin of the cheeks. While some of these procedures have to be be done in an operating room and need several weeks of recovery afterward, others can be performed in the office of the surgeon and need only a few days to recover. Dr. Sean Freeman, MD is the most experienced facial plastic surgeon in Charlotte. He has practiced only facial plastic surgery since 1988. Call today. The three most common types of facial plastic surgery are rhinoplasty, eyelid surgery and face lifts, in that order. If you feel one of them is right for you, seek out the opinion of a professional facial plastic surgeon. Another type of facial plastic surgery is lip enhancement. This can take the form of lip augmentation, which uses an injectable filler to make the lips fuller, or the lip lift, which slightly shortens the upper lip and causes it to appear a little fuller. Other procedures are neck lifts, otoplasty, facial implants and malar pad lifts. Deciding which procedure is right in your case is something only an experienced facial plastic surgeon can do. If you are considering facial plastic surgery, talk with an expert. It is possible that a simple skincare procedure, such as laser skin rejuvenation, can do everything you need. If you decide on surgery, you will want it to be done by someone with a lot of experience. There are many safe and effective facial plastic surgery procedures available today, some of which can be performed in the office of the surgeon and need only a few days of recovery time afterwards. Common types of facial plastic surgery include lip enhancement, neck lifts, facial implants, malar pad lifts and otoplasty. There are two kinds of lip enhancement — lip augmentation and the lip lift. Deciding which procedure is right in your case is something only an experienced facial plastic surgeon can do. A neck lift removes loose skin and fat from under the jaw. Facial implants add balance and definition to the chin and cheeks. A malar pad lift raises the pads of fat under the skin of the cheeks. Otoplasty, or surgery on the ears, corrects a defect in the structure of the ears resulting in excess protrusion. Ignore e-mailed offers of discounted laser treatment or BOTOX. These are often performed by unqualified personnel, with less than satisfactory results. Surprisingly, the cure for unsatisfactory facial plastic surgery is in fact better facial plastic surgery, performed by a cosmetic surgeon who knows how to improve the work of other doctors. Look for a facial plastic surgeon with a known reputation and a gallery of before and after photographs of patients. Sean Freeman, MD, is the most experienced facial plastic surgeon in Charlotte. He has been certified by two different surgery boards, the American Board of Otolaryngology (head and neck surgery) and the American Board of Facial Plastic and Reconstructive Surgery. Ask for an online consultation today. There are safe and effective facial plastic surgery procedures available today, some of which can be performed in an office and need only a few days of recovery time afterwards. Common types of facial plastic surgery include lip enhancement, facial implants, neck lifts, malar pad lifts which elevate the fat under the cheeks, and otoplasty, or ear surgery. It would be a mistake to opt for an e-mailed offer of discounted laser treatment or BOTOX. These are often performed by unqualified personnel, with bad results. Just as having the face you always wanted can restore your confidence, surgery that gives you a face you are not pleased with has the opposite effect. Look for a facial plastic surgeon with a known reputation and a gallery of before and after photographs of patients. Surprisingly, the cure for unsatisfactory facial plastic surgery is better surgery, performed by a cosmetic surgeon who knows how to improve the work of other doctors. So if you have undergone plastic surgery that left you dissatisfied with the results, this is not the time to give up. If you are considering facial plastic surgery, the first step is to talk with an expert, discussing what improvements you want to your face and how they should be made. M. Sean Freeman, MD, is the most experienced facial plastic surgeon in Charlotte. He has practiced only facial plastic surgery since 1988, including improvements to plastic surgery done by other doctors. Make an appointment today. Lip enhancement. There are two kinds of lip enhancement. One is lip augmentation, which makes the lips fuller. Another is the lip lift, which balances the upper and lower lips. Neck lift. This procedure gets rid of loose skin and fat beneath the jawline. Facial implants. These implants accentuate the chin and cheeks. Malar pad lift. This procedure elevates the pads of fat under the skin of the cheeks, giving your face a more youthful look. If you want to look into the possibilities of facial plastic surgery, the first step is to talk with an expert. A good surgeon will listen to you describe the results you want and understand how to achieve them. Surgery is not always necessary — sometimes a simple skincare procedure, such as injectable fillers or laser skin rejuvenation, can do what you need. If you decide on surgery, you will want the best, most experienced surgeon you can find. 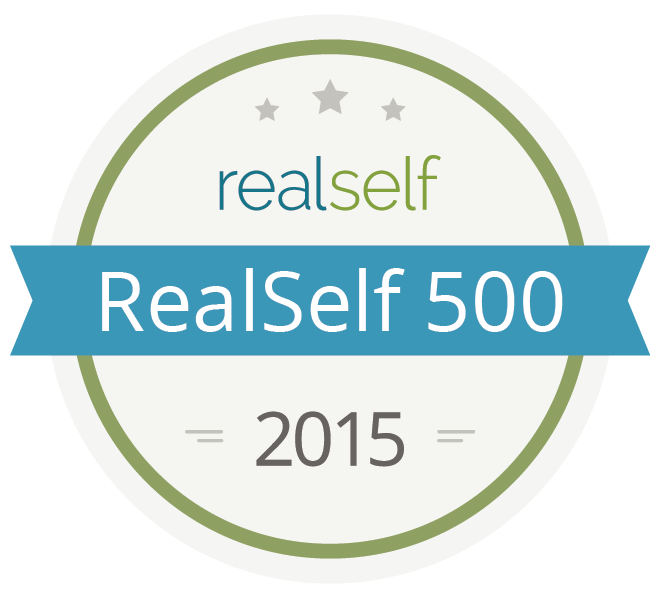 Sean Freeman, MD, is the best facial plastic surgeon in Charlotte. He has done nothing but facial plastic surgery since 1988. If you live in or near Charlotte and want to use modern medicine to improve your appearance, make an appointment today. You can save money on the consultation fee by requesting an online consultation. If you do not like the way you look, facial plastic surgery may be the answer. In a world where too many of us still judge others by physical attractiveness, a cosmetic surgeon can improve not only your looks, but also your self-confidence. There are many safe and effective procedures to restore youth and beauty. These include lip enhancement, neck lift, facial implants and malar pad lift. If you have already received facial plastic surgery and are not satisfied with the results, this is not the time to give up. Plastic surgery by a more skilled surgeon can correct them and give you the face you want. Good facial plastic surgery should not look operated-on, but naturally young and beautiful. The first step in exploring the possibilities of facial plastic surgery is to talk with an expert, talking over what improvements you want to your face and how to make those improvements. Sometimes you can get everything you need from a simple skincare procedure, such as laser skin rejuvenation or the use of injectable. If you do decide on surgery, you will want it done by someone with a lot of experience. Sean Freeman, MD, is the most experienced facial plastic surgeon in Charlotte. He has concentrated on facial plastic surgery since 1988, including improvements to plastic surgery done by other surgeons. If you are interested in benefiting from his expertise, make an appointment or request an online consultation today.